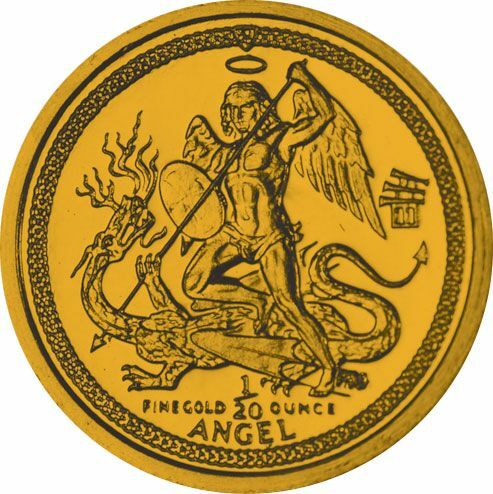 Being issued in December 2014 by the I.O.M., showing the Archangel Michael slaying the dragon. 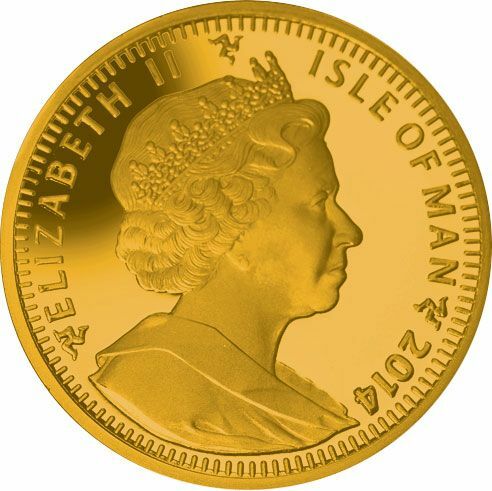 These splendid 1/20th coins are in proof condition 0.999 pure gold. Encapsulated, cased and certificate of authenticity. VAT free. In medieval times the Angel was thought to bring good luck and health to the owner. Proof pure gold, diameter 15 mm.